Whether you're a novice on the slopes, or a seasoned backcountry rider, snow pants are an essential part of your alpine wardrobe. With so many technologies and factors to consider, it can be a daunting task knowing which pair to choose. Luckily, we've created this handy guide so that you can shred with style and confidence! So what is waterproofing and breathability, and why do our snow pants need them? Simply put, a waterproof fabric will stop any snow or moisture from dampening the snow pants. And breathability? It allows perspiration to escape. If breathability wasn't present, you would quickly become damp and cold, no matter how waterproof the snow pants are. Rated in millimetres, the essential basis for waterproof ratings is the higher the rating, the more waterproof the material. Snow pants with a waterproof rating of 10,000mm means that you could fill a 1 inch by 1 inch piece of said rated fabric with water to a height of 10,000mm before it would begin to leak through. Generally speaking, any snow pants with a waterproof rating in excess of 10,000mm is likely to make sure you stay dry and comfortable when charging the mountain. Those in heavier snow and wetter climates need to be looking at around 10,000mm and 20,000mm +. It's worth noting that even snow pants with a rating of 20,000mm will be put to the test after a full day of touring the backcountry. Breathability needs to be taken into just as much consideration as waterproofing, particularly if hiking is on the schedule. Breathability allows perspiration to escape. It needs to combine with waterproofing in order to provide a reliable performance on the mountains. Snow pant's breathability rating is measured in how many grams (g) of water vapour can pass through a square metre (m2) of material from the interior to the exterior in a 24-hour period. As with waterproof ratings, the larger the figure, the more breathable the fabric. Like waterproofing, a breathability rating of 5,000 to 8,000 grams will be enough if you cruise the pistes all day, while backcountry trekkers and powder hounds should look at jackets in the 20,000+ range. Extra ventilation is possible through zips, typically to the inside of the thigh, with mesh lining for added breathability. Gore-tex are the pioneers in waterproof and breathable materials. This is the fabric to choose if you're after exceptional durability and a 100% waterproof, breathable and totally windproof performance. Fundamentally, it's a membrane that's sandwiched between an outer and an inner layer of fabric with over 1.4 billion pores per square cm, each 20,000 times smaller than a raindrop, but 700 times larger than a particle of water vapour. This means that water is prohibited from passing through the fabric, yet perspiration can easily get away. Gore-tex tends to have a waterproof rating of 20,000mm+ and a breathability rating of 20,000grs, perfect for backcountry riding. A Gore-Tex snow pant will have fully taped seams and feature a 'Guaranteed to keep you dry' promise. It's not necessary for your snow pants to have a GORE-TEX construction. Many other insulations and different fabrics provide dependable enough designs to ride wherever you want, and still stay dry and warm. Many snow pants will have a DWR treatment to their shell, (Durable Water Repellent). This gurantees that the snow pant doesn't become a sponge and soak up all the water. It is up to the membrane to prevent any water from entering. Most commonly, the membrane will be protected by a super thin layer of Polyurethane with a fine mesh bonded to the inner surface for comfort in 3 Layer, (3L), fabrics. 2 Layer Most waterproof breathable outwear is constructed with 2 layers. This construction is simply where the waterproof outer shell and membrane are connected together. The membrane, (inner lining layer), is usually mesh, polyester taffeta, or both, that loosely falls within the jacket to stop the deterioration of the waterproof lining. 2 Layer designs are often significantly cheaper than 2.5L and 3L shell. Yet, they are often bulkier and consequently not as easy to pack down. 2.5 Layer fabrics do not have a bonded mesh lining, nor a sewn-in lining. Instead, they have a very fine raised pattern or internal carbon screened onto the membrane, which keeps it off the skin. Because of this raised pattern, the laminate is protected from things that can deteriorate the fabric over time. 2.5 Layer fabrics are often extremely lightweight and packable. The most common in snow sports is the GORE-TEX PacLite. A 3 layer construction is built up of an outer layer, otherwise known as a 'face fabric', a waterproof membrane and inner that are bonded together to make one flexible fabric. A 3 layer construction is packable, durable, breathable and able to handle extreme conditions. 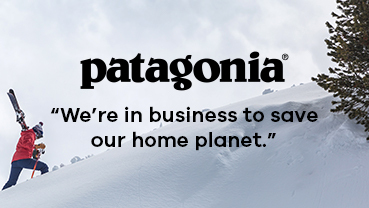 Ski and snowboarding pants feature either insulated and non-insulated designs. The most common use of insulation are through insulation to the seat, knees and/ or waist, where a warmer and denser layer of insulation is used. Some snow pants aren't lined. These are usually technical pants designed for backcountry riding. The lack of lining and insulation is in order to make the snow pants as light as possible while allowing for optimum breathability. Shell snow pants are not insulated and come unpadded. This is fundamentally then a waterproof, breathable thin layer that is perfect for warmer conditions. However, layers can be worn underneath for those colder days. Just make sure that the base layers are breathable. Synthetic insulation is perfect for the hill as it's lightweight, compressible insulation, even when damp. Insulated snow pants typically feature low-profile, light synthetic insulation to provide some added warmth. It's not as important to keep your legs as warm as your core. Thus, options for snow pants insulation are more limited than ski jackets. Many brands have different names for synthetic insulation, such as Thinsulate, Thermoliite and Primaloft. Burton's Primaloft Silver Insulation will repel water with its microscopic air particles, but trap heat to provide warmth and keep you dry in the most demanding conditions. These snow pants are constructed of an outer snow pant and a zip-in/ zip-out base layer. The inner layer tends to be wicking or insulating layer that can either be zipped or snapped in or out of the shell. This creates a more versatile snow pant, perfect if the weather changes while you're on the hill. However, it is worth noting that snow pants with attachment systems often mean more bulk. • Taped seams guarantee waterproof snow pants. This is where strips of tape cover the seams to prevent moisture from entering the snow pant in any direction. The more taping, the less breathable the snow pant. • 'Fully taped' seams mean that every seam is taped together. This guarantees ultimate waterproof protection. • 'Critically taped' is when tape on only high contact areas, such waist and knees, are taped for strategic protection against snow and water entry. Snow pants often come with technical pockets. 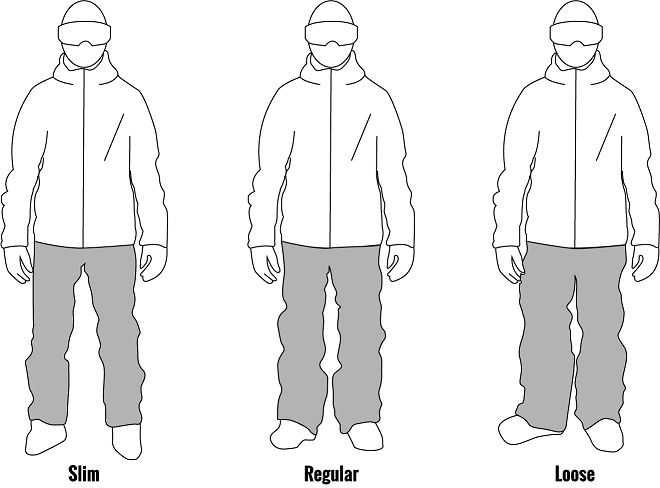 Snow pants commonly feature a lift pass pocket, cargo pockets, front and back pockets. Some pants can be attached to ski jackets using poppers, zips, etc. It is often the powder skirt of the jacket that attaches to the waistband and is often only compatible with items from the same brand. Your ski jacket may contain a RECCO reflector: a small reflective insert that can be used to find you by ski patrol using compatible detectors after an avalanche. This is not to be used in place of proper avalanche safety equipment. Zips are often covered to prevent snow from entering the snow pants and pockets. This is known as YKK Water-Resistant zips and provides a cleaner finish, higher strength and a smoother performance. Perfect for allowing extra airflow, inner leg ventilation zips can let more air in through a mesh lining to prevent overheating. Ventilation zips are typically found on the inside or outside of the thigh. Some snow pants offer full zip legs, allowing you to unzip and completely remove your snow pants without taking off your ski boots. The full zip legs are most commonly found on race or technical mountaineering snow pants. Typically in the form of an adjustable Velcro strap, waist adjustment allows a customised fit. Only on selected models, suspenders are often sewn into the snow pants for an extra secure fit. These tend to be a 'bib' style design. Yet, many suspenders are also removable for days you don't use them. This is where the knee are of the snow pants are pre-shaped in order to match the natural bend and flex of your knees. Reinforced Seat: The seat is where most contact with the snow happens. As a result, a good pair of snow pants will have a reinforced seat. Some pants come with stronger materials or thicker fibre weaves, while others may come with added patches. These reinforced areas will battle their accelerated wear and tear. Leg Lifts: Not every snow pant will have this feature. Leg Lifts allow you to roll the snow pants up and snap the ends to keep them out of the way, thanks to a piece of material by the boot cuff. This is particularly handy when you're walking around as it prevents any tearing to the snow pant ends. Boot gaiters are cuffs attached to the inner bottom of the snow pants with an elastic band. The elastic band will guarantee that the boot cuff fits securely over your boot to keep out any snow when you're shredding on the hill. A scuff guard is an extra durable piece of fabric that is positioned inside of the ankle of the snow pants. This prevents the end of the snow pants from fraying. Otherwise known as the traditional fit, regular fit leaves plenty of room for layering, without the baggy appearance. Snow pants will typically have a standard inseam with a cut that's straight through the leg. Also known as the technical fit, the slim fit snow pant is a lot more streamlined for greater freedom of movement. Slim fit snow pants are generally slimmer through the thigh and knee. Recently, slim fit style has featured a slimmer leg through the knee with a flare towards the ankle. Now, park rats will opt for the baggier jacket for style reasons. Practically though, it's going to give you more coverage and plenty of room for those layers underneath. If snow pants are marked as 'loose fit', they will tend to be relaxed at the waist and much baggier through the thigh, knee and cuff.